The armed forces are preparing to kick off a bold experiment to test claims made in favour of alternative medicine by throwing open the doors of some top military hospitals to doctors specializing in these remedies. For the first time, the military is giving a chance to specialists in different forms of alternative medicine, ranging from Ayurveda and Naturopathy to Unani and Homeopathy, to treat severely-ill soldiers, veterans and their dependents who have not responded to conventional treatment. The AFMS, a cadre consisting of more than 6,000 doctors, is tying up with the ministry of AYUSH (Ayurveda, Yoga and naturopathy, Unani, Siddha and Homoeopathy) to kick-start the experiment. The AYUSH had mooted a proposal to integrate the alternative medicine system with the conventional system, but the army suggested that a pilot project be undertaken first. The project will begin with 10 alternative medicine specialists being assigned to four army hospitals — Base Hospital in Delhi Cantt, Military Hospital in Jalandhar and Command Hospitals at Chandimandir and Pune. AYUSH secretary Ajit M Sharan said some forms of alternative medicine had a legacy of more than 3,000 years but had not been exploited to their full potential. “These systems can be used to supplement conventional medicine for treating different types of cancers and TB, as standalone treatment for diseases like arthritis and dementia and also as food supplements. The tie-up will benefit soldiers,” Sharan added. As part of the experiment, the specialists will be assigned to terminally-ill patients and those with some form of cancer. General Chopra said, “We don’t have much to offer to such patients and perhaps some other treatment could work for them. Alternative medicine systems shouldn’t be written off as they have evolved over centuries.” The scope of the project could be expanded if alternative medicine treatment proves to be effective. This would give alternative medicine practitioners a bigger platform for research and could help address some myths about the systems they practice, Chopra said. “These traditional medicine practitioners will work under the supervision of army doctors to provide the best medical care to patients. Patients will benefit if we can find scientific evidence that suggests alternative medicine can cure or curtail diseases,” he added. Requesting anonymity, a serving army doctor said it would be critical for the AFMS to monitor the experiment at every stage as traditional medicine has so far been a no-go area in the armed forces. 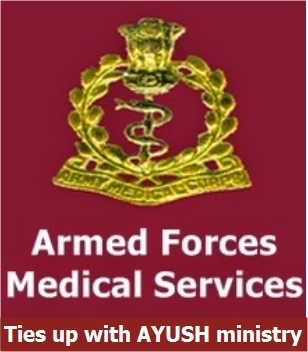 Alternative medicine system is more of an Art,hence the fate of thousands of wounded soldiers fate should not be judged by mere 10 alternative specialists conducting a pilot project , if mere 2 specialists from each alternative system fails in proving the real efficacy of our system , does it mean entire system is worthless ? instead they should take help from the successful doctors who have cured thousands of wounded ones thus giving a justification to this movement.